My closet has been getting an overhaul these past few weeks, ridding myself of winter sweaters and old items that take to much space because I never use them. 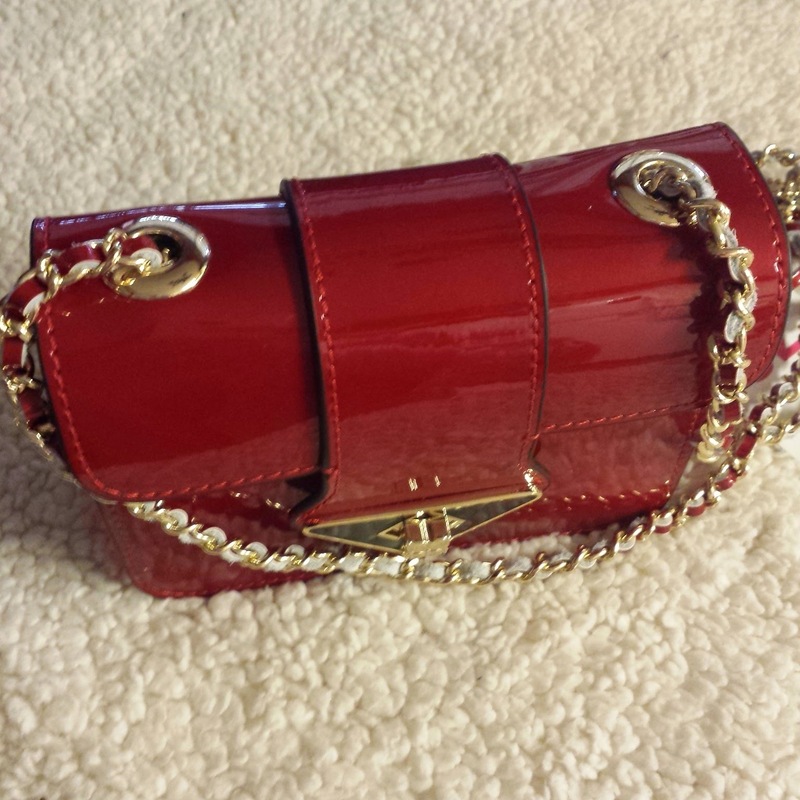 It's this that made me look at my once vast collection of purses and handbags and sigh. I've either given away or trashed most of them and it's sad to see my shelf so very lonely... it needs new friends....and Purse Disperse can absolutely help me out with that! 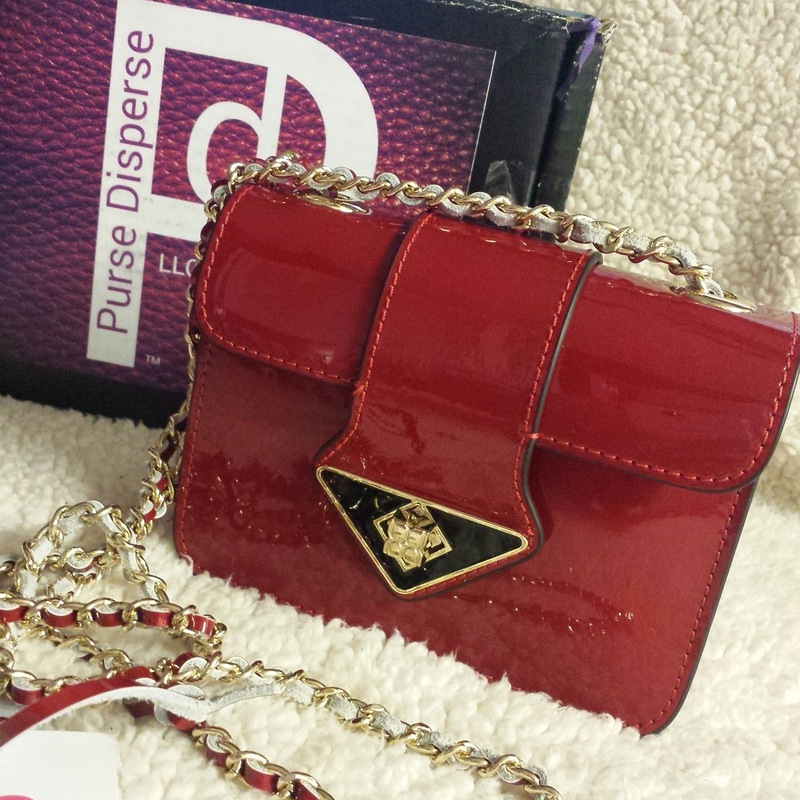 If you aren't familiar, Purse Disperse, who kindly sent me this box for review, is a brand new bi-monthly subscription service that delivers designer bags (from clutches to totes) right to your door. 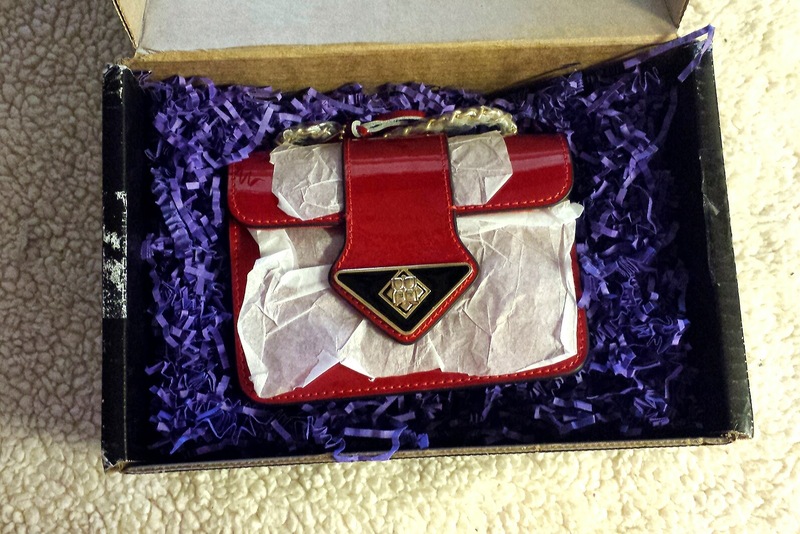 The cost per box is $70 and all the purses featured are completely authentic. You may remember a post from several weeks ago about the launch of Purse Disperse. I myself have been so eager for this because there is a vast shortage of subscriptions that feature quality and recognizable designer names and it's the only subscription I know of that focuses solely on handbags (thus the higher quality!). 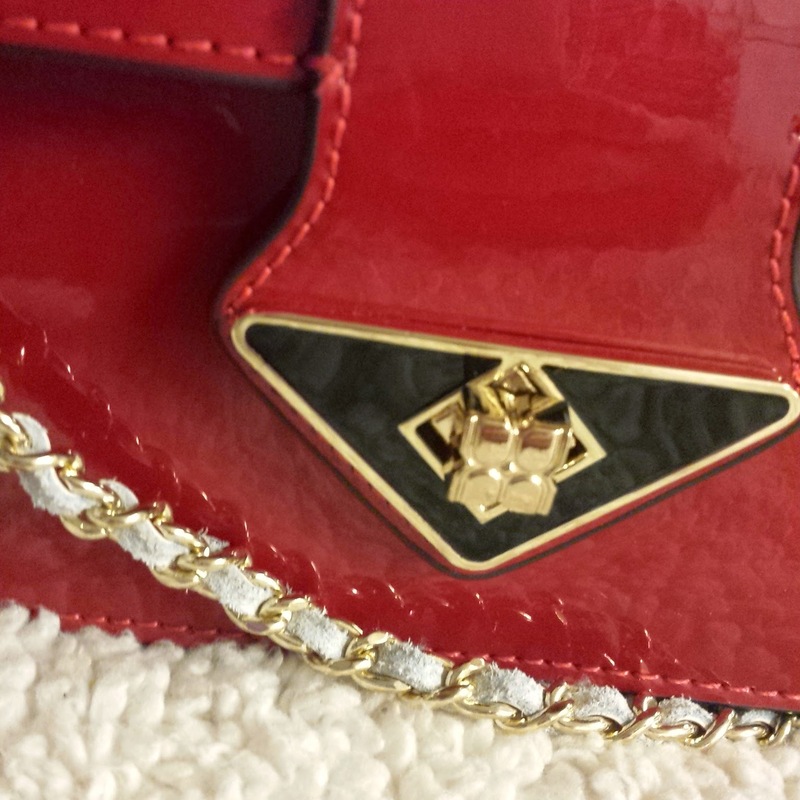 Just an FYI, this is not one of the purses that will be sent out in the May box, however, this purse will be in the 2015 line up at some point. When you receive your box, subscribers will be able to find the curation. Info about their bags on the website. 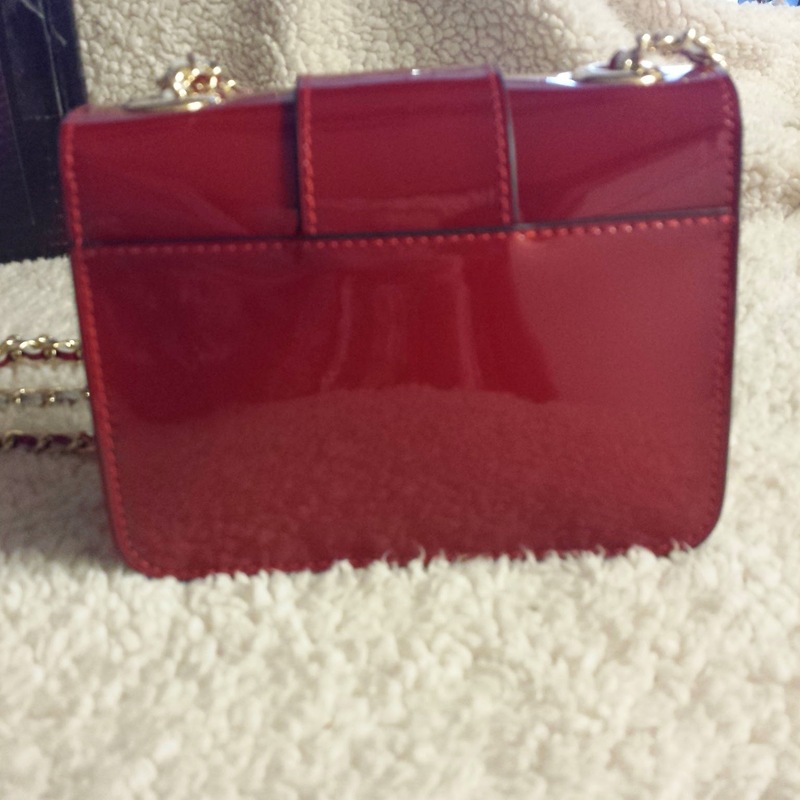 I want to mention again that these are all new and authentic purses. 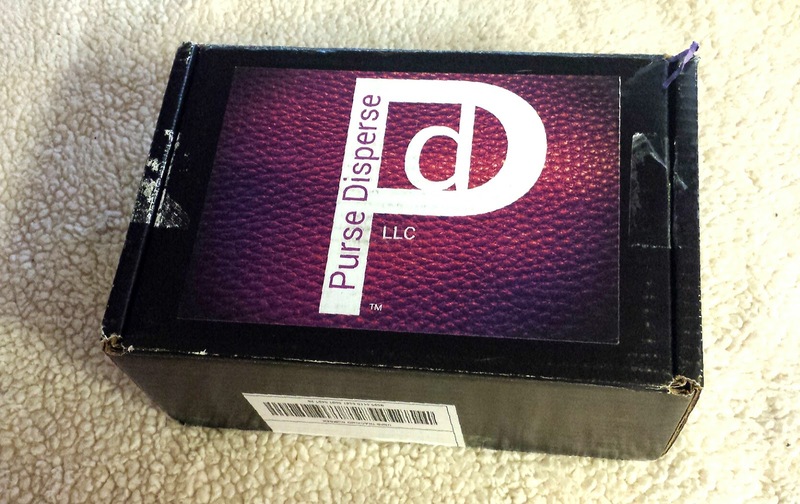 Purse Disperse receives them straight from the manufacturer so you Won't find any knockoffs here! Oh. My god.... The red... oh the pretty pretty red! As you can tell... I love this at first sight! 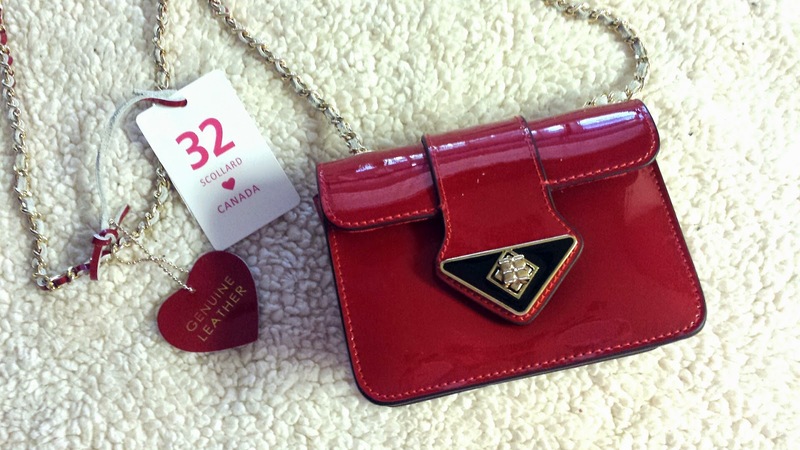 The bag I received is from 32 Scollard by Jeanne Lottie and it's the 'Cherry Crossbody' bag and it has an MSRP of $110.00, which is pretty impressive. I can tell you right now that the pictures don't do it proper justice! The mini design is gorgeous and so sleek. Perfect for a night out. And the super glossy patent leather finish makes it standout in the best of ways. I've always loved twist lock closures on a bag. They add that extra classic touch and I especially love how ornate it is. All of the gold hardware is spectacular. .. especially the chain. 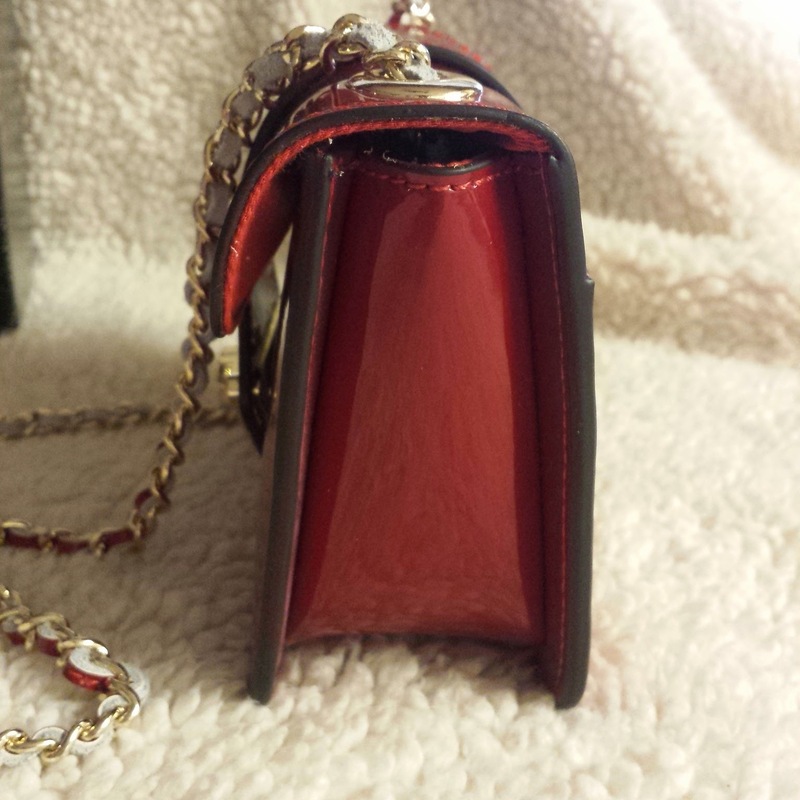 It's laced with a red leather strip that weaves in and out of the chain. 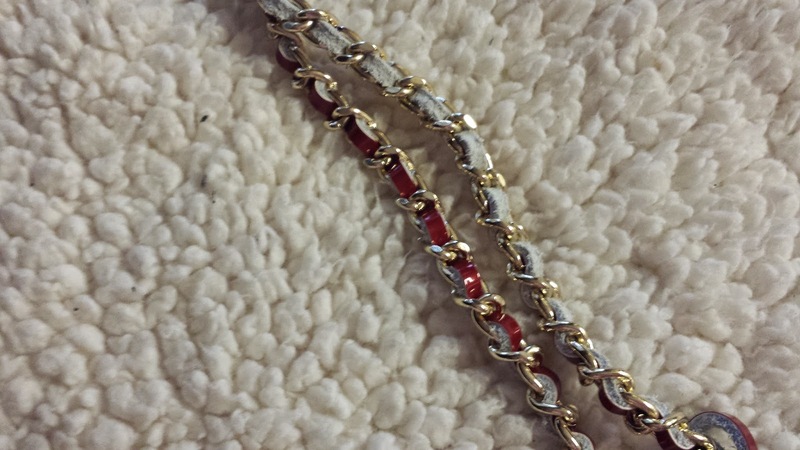 I always feel like a good chain is a sign of quality that you just don't see in the less expensive brands. Another thing I love is that you can very easily double up the chain if you prefer a shoulder bag instead of the crossbody style. Versatility is so important in my book! My expectations for Purse Disperse were very greatly surpassed. It was everything I hoped it would be and more. The style I received isn't anything I would normally buy for myself in the store but they knew better and chose a piece that i am going to absolutely treasure for a really long time! 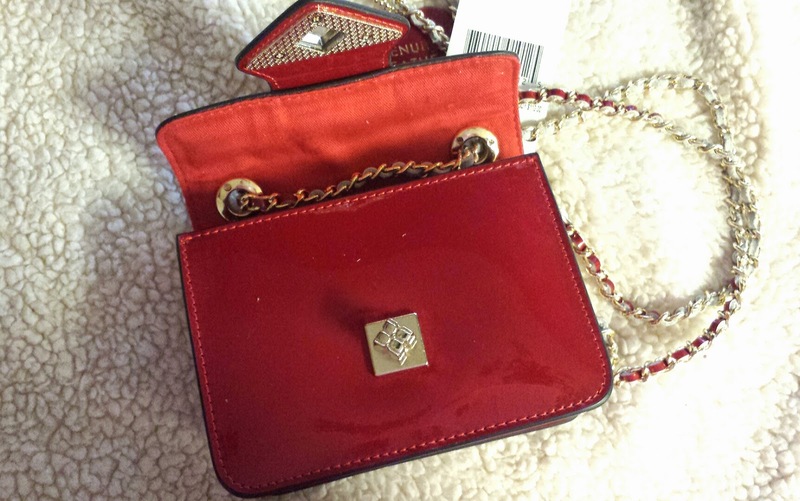 Are you grabbing a Purse Disperse box for yourself? Share your thoughts below! And remember to signup by April 24th to receive the May box. Subscriptions will open back up after that on June 1st! 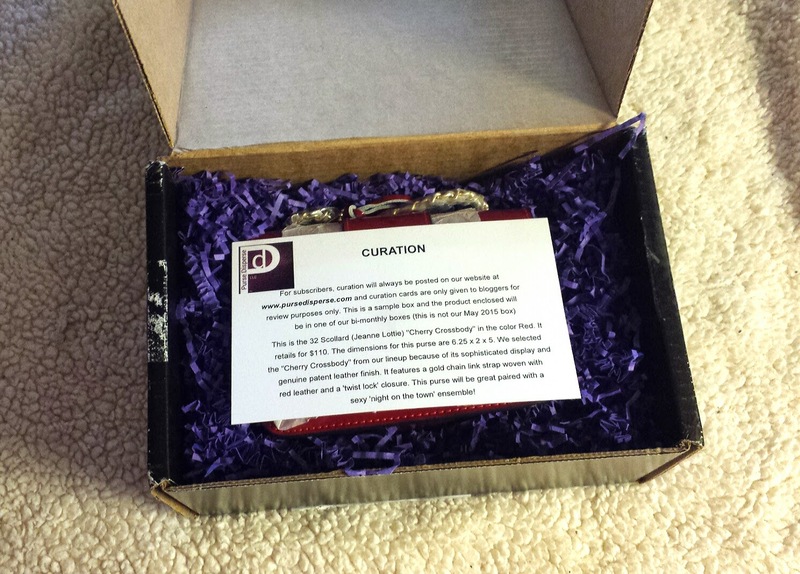 *While this box was received complimentary in exchange for a review, it is completely unbiased and honest. All opinions are solely my own and should be viewed as such.